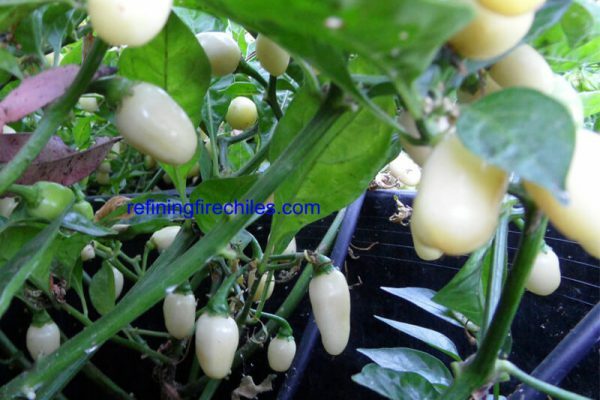 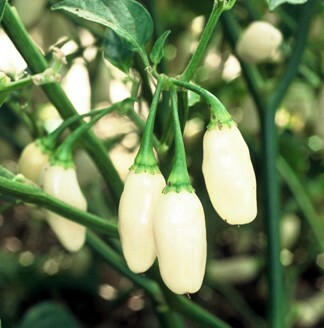 A plant that produces lots of small white pods. 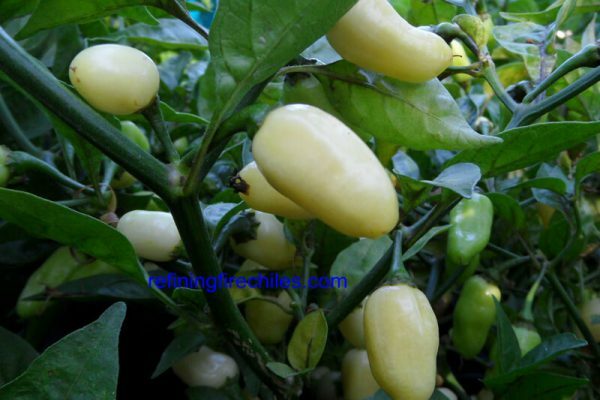 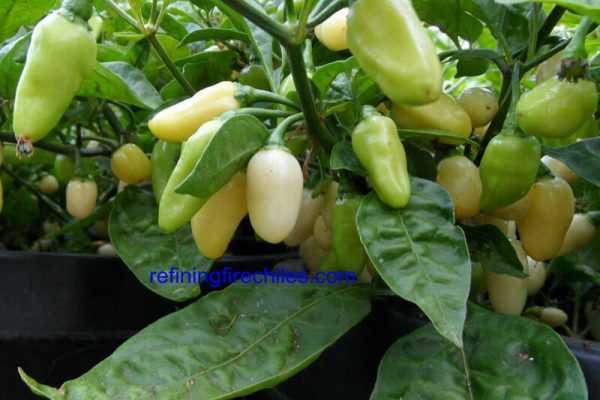 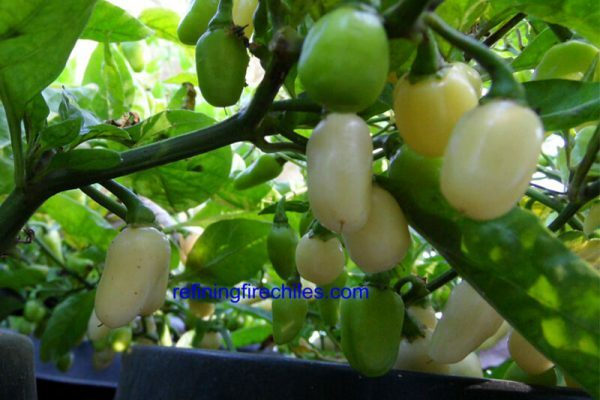 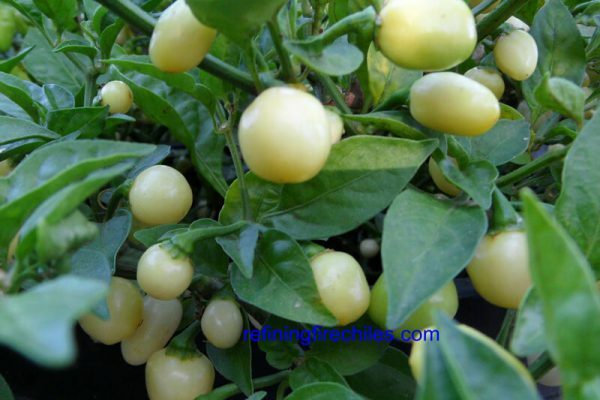 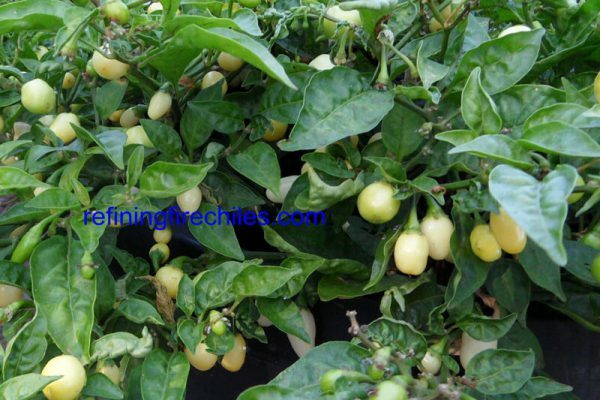 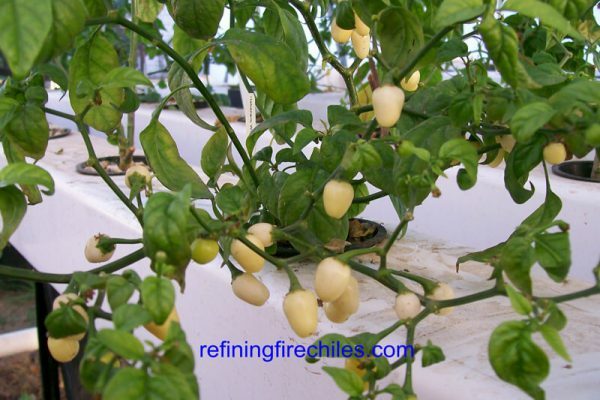 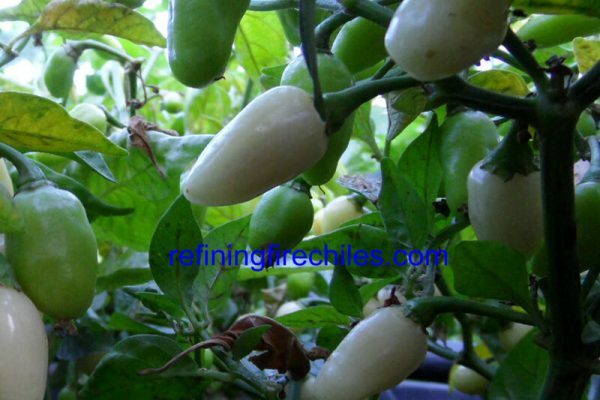 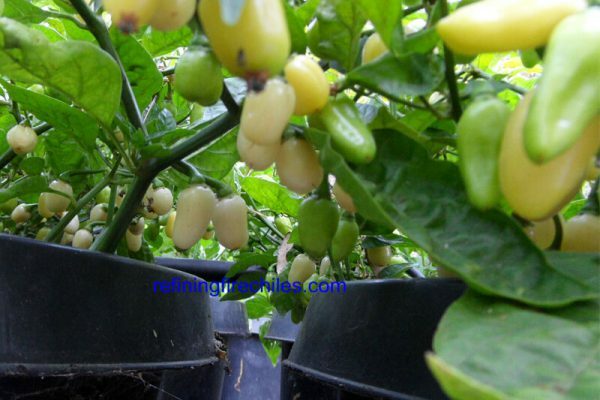 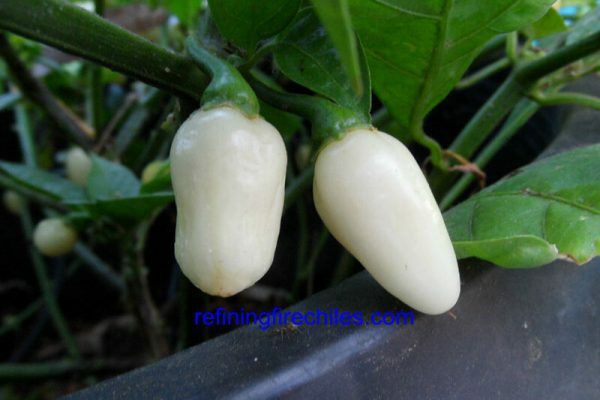 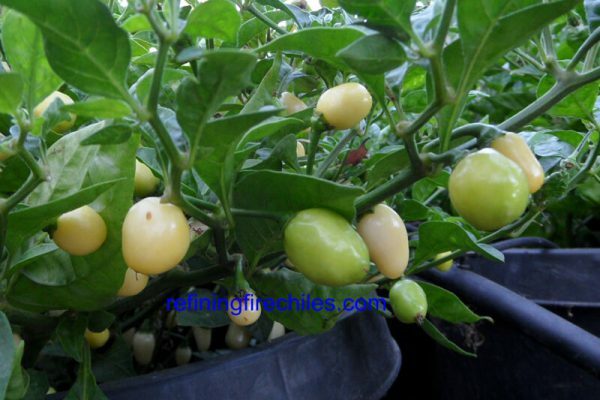 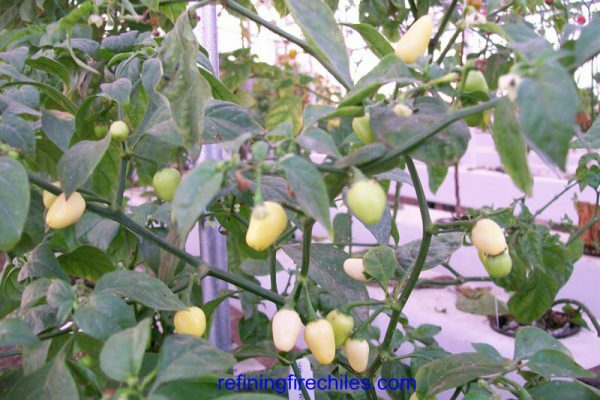 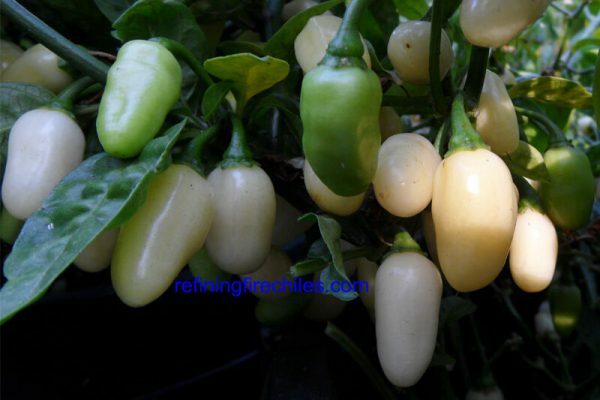 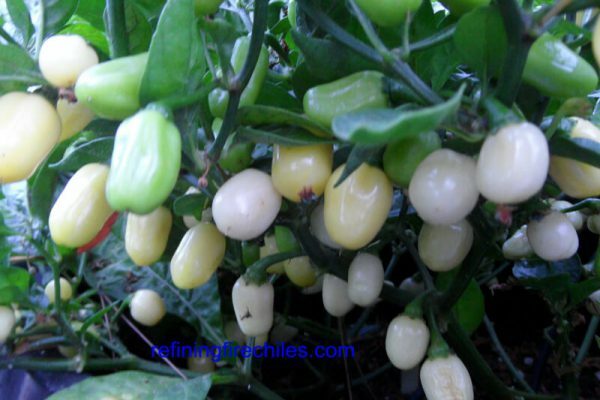 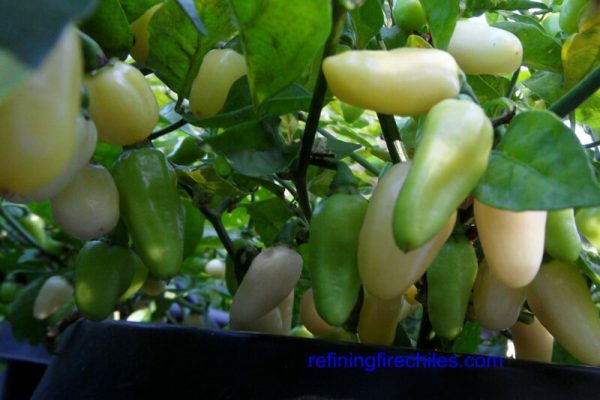 This variety is jelly bean shaped and originates from the area of Yucatan in southern Mexico. 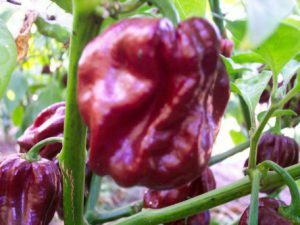 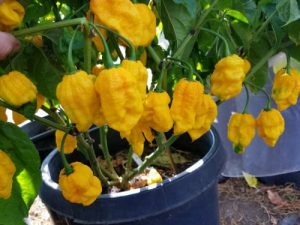 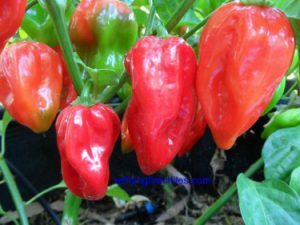 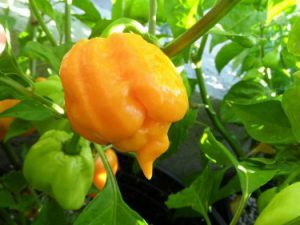 The heat level is close to the former world record holder Red Savina Habanero and hotter and more flavorful than it’s relative in Peru. 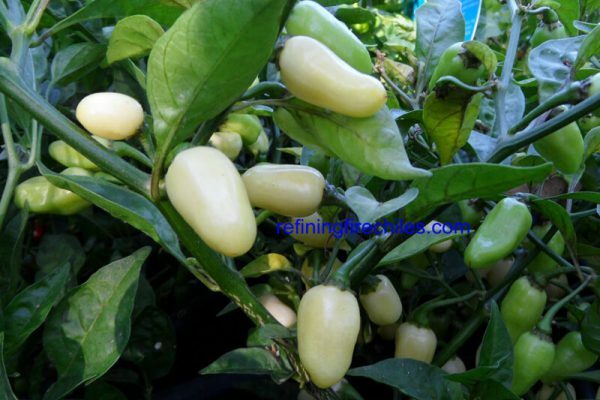 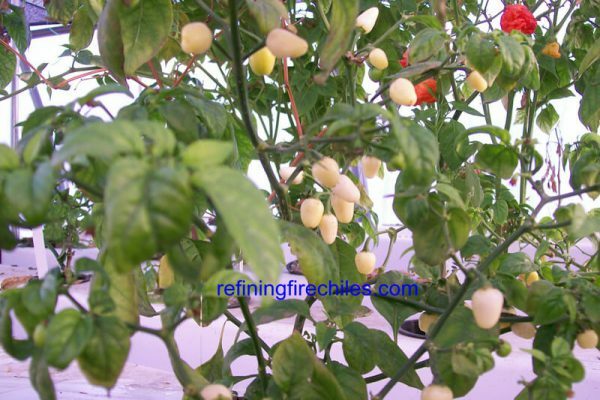 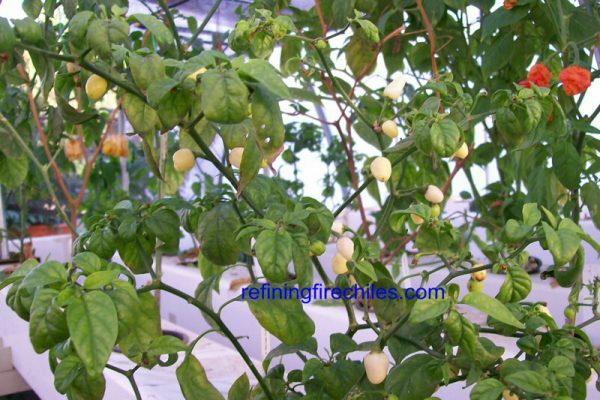 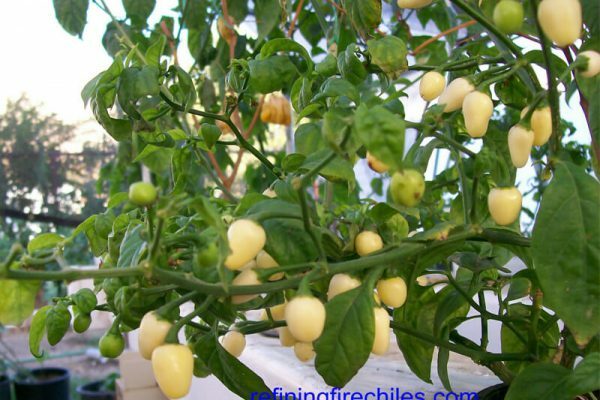 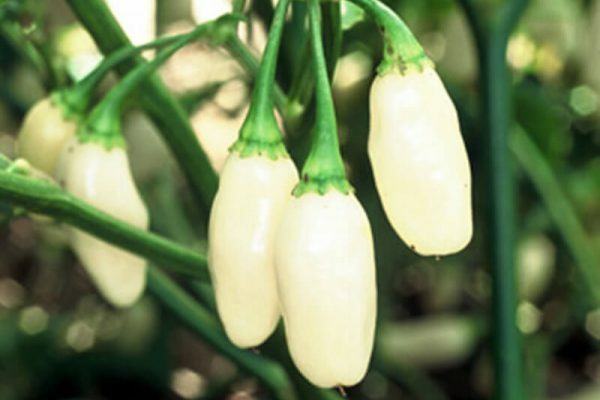 It grows into a small low lying bush and the plant can produce almost two pounds of white pods. 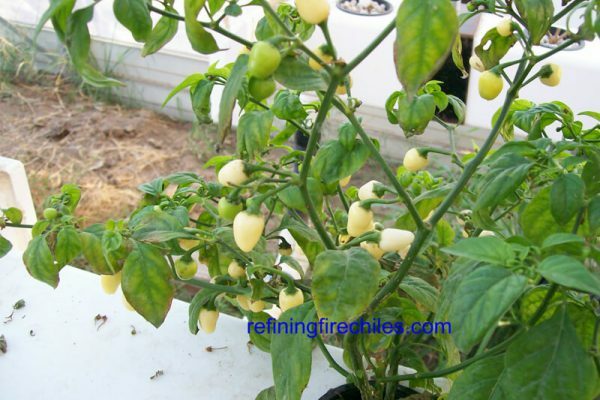 These seeds have been germination tested and have been grown organically in a pesticide free environment.